For those of you who are navigating the internet radio waves of Red Light Radio, visit The Rest Is Noise events at the Muziekgebouw aan ‘t Ij or hang out at the lush garden of De School, the name Izabel must spark some adventurous emotions. Izabel is known for crafting DJ sets and podcasts with a diverse spectrum of sounds, genres and cultural ideas. 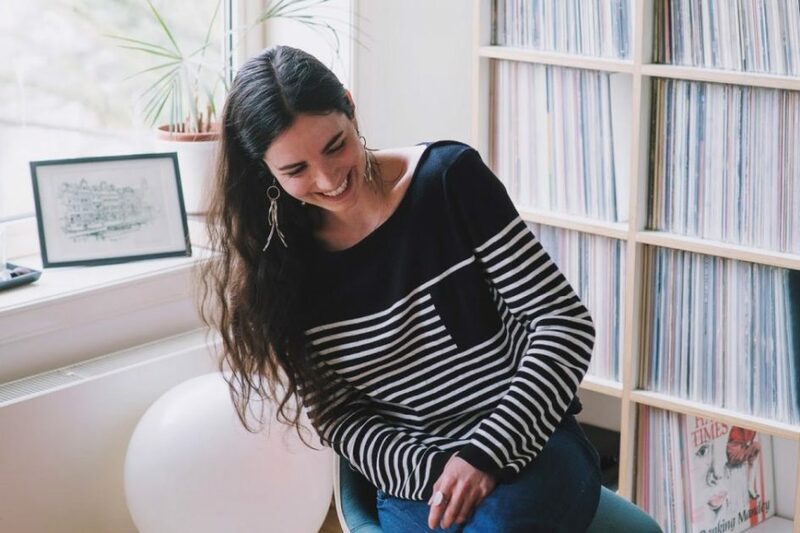 Izabel Caligiore, founder of Amsterdam based record label Lullabies for Insomniacs, cites a lust for traveling and exploration as her main artistic inspiration. After leaving her native Melbourne for Europe she now infuses various projects with her uniquely eclectic taste. She hosts a monthly radio show on acclaimed station Red Light Radio and enjoys a DJ schedule that sees her playing all over Europe. Apart from being an excellent DJ, the Lullabies For Insomniacs (LFI) record label is a gem on it’s own. LFI evolved out of a radio show hosted by Izabel Caligiore on Melbourne station 106.7 PBS FM. We’re very much looking forward to inviting Izabel as part of the free foyer programme at De Brakke Grond on Friday 12/05.